SRS1 Cubic Spline for Excel - This is free software that adds several spline and linear interpolation functions to Microsoft Excel. It is simple to use because the new functions work just like all built-in Excel functions. Sidewinder Conveyor Design - The program can handle conveyors of any length, geometry, and drive configuration. It incorporates a wide range of conveyor design calculations from both international standards and many published technical papers. Forex Strategy Builder Professional - Forex Strategy Builder Professional is a CFD, Indexes and Forex strategy back tester with a complete visual interface. It provides tools as a scanner, an optimizer and an automatic strategy generator. It includes one hundred technical indicators. 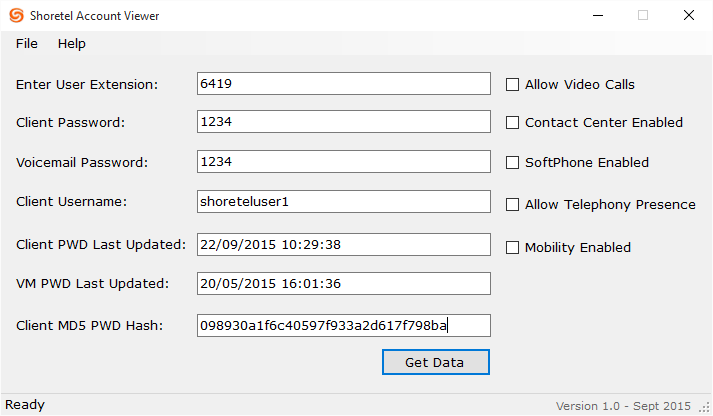 Shoretel Account Viewer - Shoretel Account Viewer is a small installable utility that connects to your Shoretel MySQL database and gathers data on your Shoretel environment users. This is an essential tool for any Shoretel Administrator.